Cooler Master has elected to use plastic blister packaging for the Hyper TX3. It was easy to open, and required no scissors, which is a refreshing change from most packaging of this type. TX3 supports Core 2 as well as Core i5, along with pretty much all Athlon 64s and above (Athlon 64, Athlon 64 X2, Athlon II, Phenom, Phenom II.) The cooler does not require installation of a motherboard backplate for use. Since this is a smaller cooler, it uses Intel's standard push-pins or AMD's clips to remain secure. 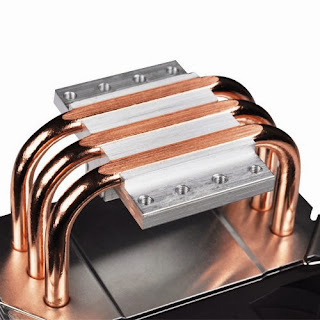 Cooler Master has apparently revised the TX3 recently; previous versions used a clip to secure the 92 mm fan to the heatsink. This clip received VERY mixed reviews. The new fan retention mechanism is made of plastic. The fan is secured to the plastic mount with screws, and the mount itself snaps onto the cooler. Rubber pads are used to dampen fan vibrations. Also, this revision apparently makes the gap in between the heatpipes and aluminum smaller, which is always a welcome change. The TX3 comes with one 92 mm fan, but comes with all the necessary accessories required for attaching a second 92 mm fan for a push-pull configuration. Cooler Master also included a tube of thermal paste, which is a nice but you will be better off using Arctic Silver 5 instead. Cooler Master paste is good but not as good as AS5, it does easily beat the thermal pads that come default with many heatsinks. Installing the TX3 was not as easy as the stock heatsink, as the TX3 is larger, leaving less room for your hands to maneuver. The push-pins for Intel are attached solidly to the heatsink by screws, the clips for installation into AMD-based systems are only secured when you finish installing the heatsink. Before installation, the clips are kept in place mostly by gravity. They're also two pieces, so when you're fumbling around in a small space trying to install the TX3, you might bump a clip off the heatsink. This cooler is about 140 mm tall, according to my measurements, so it'll fit into any standard ATX-width case with millimeters to spare. 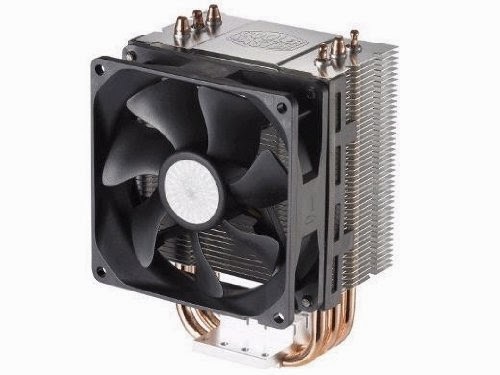 There are some complaints regarding TX3 using a 92 mm fan as opposed to a 120 mm fan. For a cooler in this price range, I am not sure if those complaints are valid. Remember, the stock AMD fan uses a 60 mm fan and spins at over 3000 RPM. I'm going to guess Intel uses something very similar. This cooler is 92 mm and spins at 2800 RPM maximum. Beats stock, yeah? As for the part everyone cares about. Performance beats stock, of course. Keep in mind I am using a micro ATX case. Also, I'm providing CPU temperatures, not core temperatures. The diodes used for monitoring core temperatures are not accurate at lower temperatures. They're built into the CPU for throttling (they save your CPU from becoming an expensive key chain holder.) Idle temp stock is 38 to 40 degrees Celsius, depending on time of day. TX3 is able to do 32 to 35 degrees Celsius. Full burn from Prime95, stock reaches 71 degrees Celsius, while the TX3 keeps it under 53. I've since overclocked my CPU from 2.7 GHz to 3.41 GHz. Max temp I've seen in Prime95 is now 58. Not bad for $20. Your results will vary depending on what thermal paste you use, how well you've installed the cooler, whether or not you overclock and how much you overclock, how well air flows in your case, what else you have in your case (buff graphics card? =) and so on. This is a Great cooler. 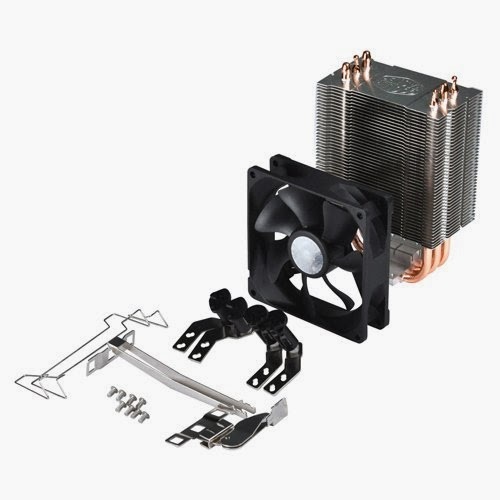 You can buy this and be unhappy at the small stuff like how the part of the heatsink that makes contact with the CPU isn't perfectly flat, but you have to remember this is a budget cooler, and also a perfectly flat heatsink is just a means to an end. You buy a heatsink because it cools better than stock, not because it has a perfectly flat surface. A perfectly flat surface might cool better, but then again, how much better? 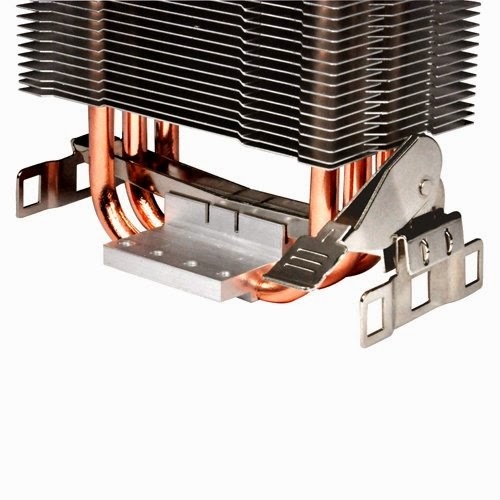 Remember, this cooler has direct contact heatpipes, so there is going to be some gaps.